Fill each day in just your own way. Every family is different of course, but a typical day might begin with a lazy lie in or a family Wake 'n' Shake session. 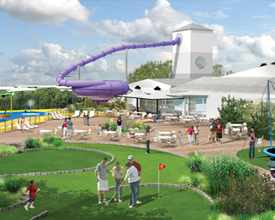 How about a morning spent in the brand new SplashZone complex? 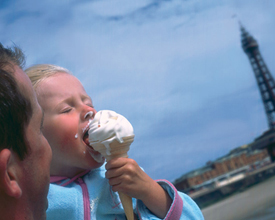 Lunch out in the town or enjoy Cafe Bar & Grill on Park, before filling your afternoon with a Fencing or Archery coaching session, or exploring Blackpool. Enjoy a stroll on the beach, before heading home to get ready for a night out in the ShowBar for a drink, live music and dancing. 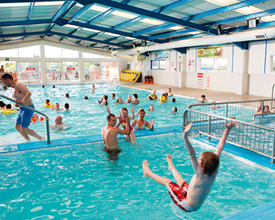 Marton Mere Holiday Village offers the following facilities. 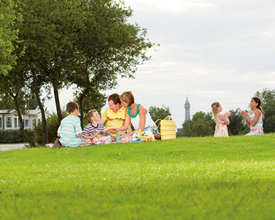 Amidst the buzz and bustle of Blackpool lies a well-kept secret just 3 miles from the famous Tower and Pleasure Beach. Located in its very own nature reserve, Marton Mere is a rural Park that offers a peaceful alternative to the bright lights of the town. Complete with electric nightlife and fabulous entertainment of its own, there's something for everyone. Take time out to visit Morecambe Bay a traditional seaside resort in lovely surroundings. Away from the excitement of the seafront, the award-winning Stanley Park is a haven of tranquillity with its formal gardens, fountains and boating lake. Blackpool Model Village is an enchanting attraction set in 2.5 acres of landscaped gardens. A welcome respite from the hustle and bustle of the resort's more livelier attractions. Marvel at the hand-crafted models and figures that depict many scenes of life in miniature. The nearby reserve is an area of open water, reed beds, scrub and grassland renowned for its wildlife. It is nationally recognised, as a �Site of Special Scientific Interest', for its birds but also has important populations of dragonflies, butterflies, hoverflies and other animals such as bats. Spring brings migrant birds to Marton Mere, along with the common migrants like Swallows and Swifts. Marton Mere has regularly attracted rare visitors from all over the northern hemisphere. Rides and fantastic live shows based on the legends of King Arthur are available at Camelot Theme Park or for a more historic destination try Lancaster with a castle, Maritime Museum and Roman bathhouse. 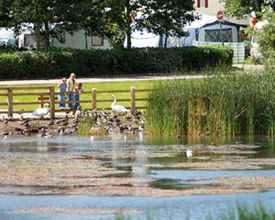 Have you been to Marton Mere Holiday Village? Please submit your review so that others can benefit from your experience. Important note: Information provided here about Marton Mere Holiday Village is based on our best knowledge. However, please check with Marton Mere Holiday Village before booking to ensure that you have the information required. 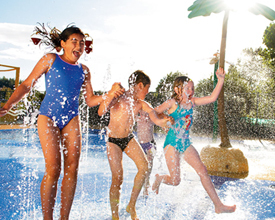 Reviews are the sole views of the contributor and do not necessarily represent the views of CampsitesandCaravanParks.com or Marton Mere Holiday Village.